The recent financial crisis and tough competition among banks demand that the banking industry take a more responsible approach, so that it can build on differentiation, regain the trust of a disillusioned banking public and sustain relationships with highly courted customers. In the wake of recent misgivings and growing customer distrust however, a number of banks have sought to instil a greater sense of client-centricity, as well focusing on sustainable and balanced growth in order to recapture the market. Among this new wave of successful banking is Société Générale de Banque au Liban (SGBL), which has opted for a responsible and rather more conservative strategy. Following a two-fold objective to increase client satisfaction and market expansion wherever possible, SGBL is indicative of a new breed of banking in the private sector, wherein customer satisfaction takes precedence above all else. Antoun Sehnaoui, CEO of SGBL, insists clients are the bank’s greatest asset. “At SGBL, our culture understands that our assets are our clients. At the private banking level in particular, we consider them to be our long-term partners and we strive to keep each and every one of them satisfied.” By abiding by this approach, SGBL remains one of Lebanon’s leading and most-respected banks. This year the bank celebrates its sixtieth anniversary, confirming its active regional presence as a prime universal bank, which caters on all fronts for retail, corporate and private banking clients. 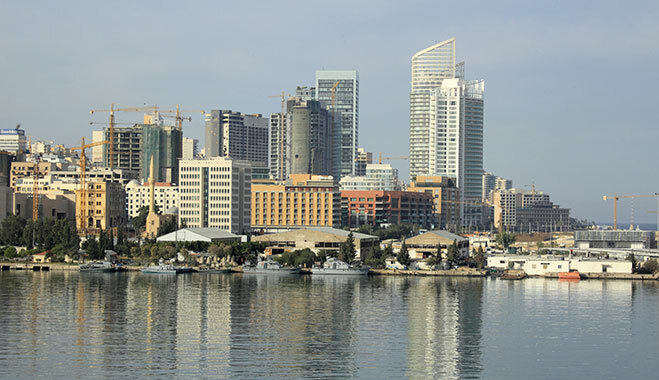 The SGBL Group is headquartered in Beirut and encompasses banks in Lebanon, Jordan and in Cyprus, as well as several specialised companies competing in insurance, leasing, and brokerage services. “We seek to develop a personal relationship with our clients, a relationship that is built on the solid foundation of mutual trust”, affirms Sehnaoui. SGBL’s CEO backs his statements by reminding us that SGBL operates in partnership with Société Générale Group, one of Europe’s leading banking groups and one that boasts an extensive and outstanding global presence. Sehnaoui points out that the private banking business at group level outlines strict guidelines and adheres to the common objective of offering clients the best financial products globally. In this realm, SGBL operates according to an open architecture business model necessitating solid relationships with both regional and international correspondents. Consequently, product offerings and advice given are not limited to a particular label or brand name, as is often the case with competitors in the market. “When we seek to provide for the needs of clients, we seek globally,” Sehnaoui emphasises. Asked about other assets behind his company’s good reputation and performance, Sehnaoui says that the bank’s teams work round the clock in order to ensure quality service and timely execution. Advisory is also backed by extensive multi-sectoral and cross-asset research that private banking clients generally value dearly. “Market behaviour in recent years has also taught us that our commitment and our capacity to respond rapidly to market fluctuation is an asset highly valued by our clients,” says Sehnaoui. Asked about the profiles of SGBL’s private banking clients, Sehnaoui says that these are mainly high-net-worth-individuals across the MENA region, underlining the fact that Lebanon continues to be regarded as the financial centre of the region. Looking back, Sehnaoui asserts that SGBL’s private banking business has been growing slowly yet surely, and that there is definitely room for growth. “SGBL was first and foremost a retail bank in its home market, Lebanon. As we started developing our private banking business back in the early 90s, we rapidly noticed that some classes of assets could also be alluring to the affluent retail customers who were not typically private banking clients. In keeping with the bank’s pledge to continuously expand upon its operations, in early 2013, SGBL increased its Core Tier 1 capital by $200m. Of the $200m, $100m was obtained from the bank’s 2012 profits and the remaining $100m through the issuance of new common shares subscribed to by existing shareholders. In addition to the aforementioned capital increase, SGBL also issued a further $125m in preferred shares. The issuance, which was initially planned for $100m, was oversubscribed, underlining investors’ confidence in the bank. The “Series 2012” perpetual non-cumulative preferred shares had an issue price of $10,000 per share, and a yield of seven percent. However, the shares have no voting rights, are non-convertible into common shares, and are redeemable by SGBL from the fifth anniversary of their issuance. In the third quarter of 2013, SGBL issued another series of preferred shares – “Series 2013” – adding a further $150m to its capital buffer, aligning SGBL’s growth strategy, which aims for equity close to $1bn by the year’s end. “This operation is part of SGBL Group’s development strategy; it will enable us to consolidate our presence and to seize growth opportunities at the domestic, international and regional level, despite the difficult environment,” claims Sehnaoui.